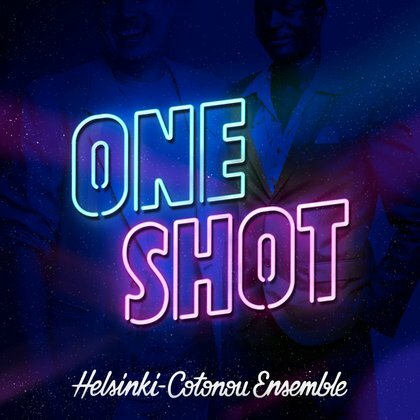 "One Shot" -single of the Finnish-Beninese group praises premium alcohol and contains EDM-sound and it is so far the most modern sounding Helsinki-Cotonou Ensemble -track. The idea of remixes arose after completion of the band version, which combines old school-band instruments with modern programming. Hermanni Peltola, a.k.a DJ Hermanni, a promoter and a DJ for Finland’s most popular modern afro music club “Afro Sunday”, liked the song and accepted the remix challenge. The outcome is a heavily dance floor-oriented “One Shot(DJ Hermanni Afrobeats Remix)”. Visa Oscar, the keyboardist for HCE, got equally excited about the idea and decided to contribute. On his “Doctor’s Orders Remix” the future PhD of jazz music gives the song electroshock treatment up to almost illegal amounts. The original idea of the song was born by accident one hot April evening in Grand-Popo, Benin, Janne Halonen and Noël Saïzonou were entertaining each other by coming up with improvised songs about different intoxicants and how to use them. Couple of weeks later the duo returned to Finland to play HCE-gigs and to finish writing the last songs for the new album. “We were bouncing ideas at the rehearsal room when Noël demoed this. We both laughed at it so hard that we ended up finishing the song in one session." "When putting together the first demo, we were fooling around with some of the most embarrassing sounds we could think of, and Noël tried out autotune for the first time in his life. That’s when we got the idea, that the production could have a hint of modern electronic afrobeat in it.”, Janne Halonen recalls about the birth of the song. 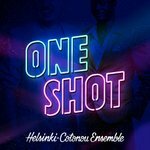 “One shot” is a single cut from Helsinki-Cotonou Ensemble’s upcoming fourth album “We Are Together”. Pour yourself a shot of your favourite alcohol, turn the volume way up, make a toast to all the wonderful women of the world and enjoy!